Cyphanthera tasmanica is a rare, Tasmanian endemic shrub. 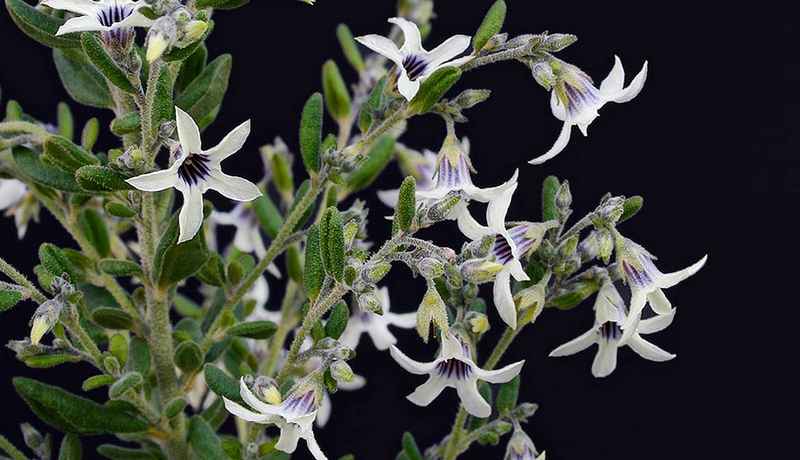 A member to the Nightshade family (Solanaceae), Cyphanthera is only found on or near the east coast, recorded in gullies and rocky hill sides. Typically seen in woodland after fires, this rare plant tends to be short lived. Over much of it’s recorded range it has disappeared and it is assumed that soil seed banks exist in these areas waiting for the next fire event to pass through. However little is currently known about this species, particularly in regard to how fire frequency impacts on populations and how long seeds can last in the soil. 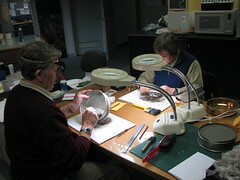 Fortunately back in 2006 RTBG staff discovered a previously unrecorded population in the Bluff River Gorge area. The population of around 200 plants was in decline due to old age and prolonged drought that has hit Tasmania for the last several years. 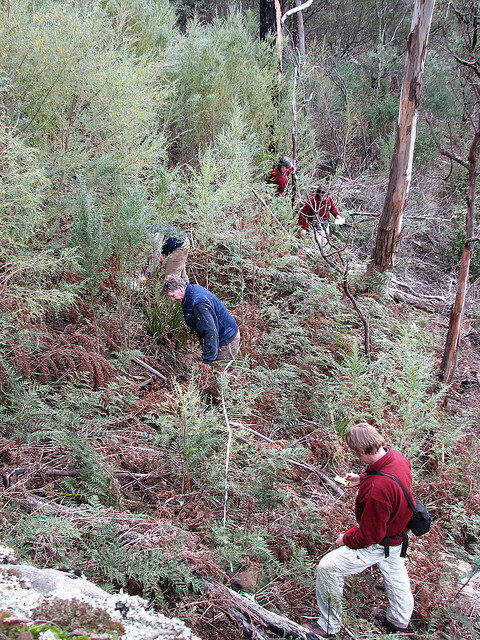 Searching for Cyphanthera seed in soil core samples collected from Bluff River Gorge. 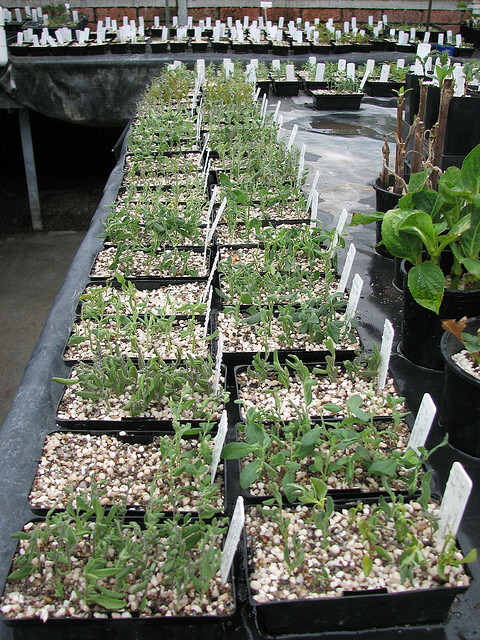 The following year cuttings were taken form over 50 individuals and 48 were successfully raised by the RTBG Nursery. This propagated material forms the basis for the RTBG to conduct a five year experiment investigating the nature of the soil seed bank of this species. 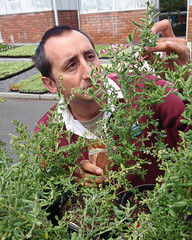 An initial harvest was conducted in December 2008 from the young seed orchard held at the RTBG nursery. This has yield an astonishing 16,000 seeds. This is an amazing result and bodes well for future harvests from the mature orchard. The official listing statement for Cyphanthera tasmanica can be found here (pdf).